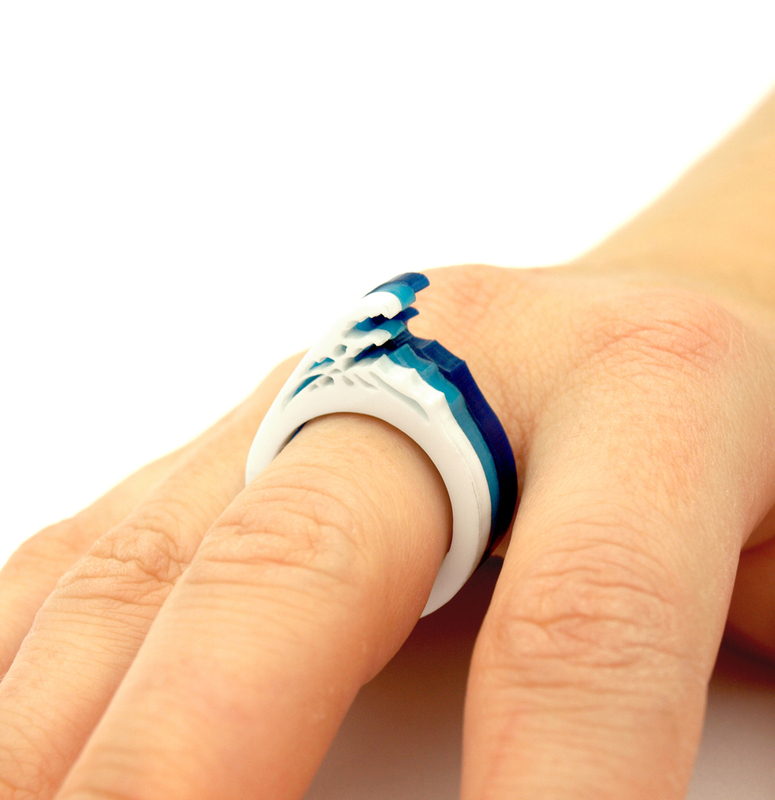 Adorn your knuckles with a tiny Tsunami by sporting this thoughtfully designed, hand finished Wave Ring. 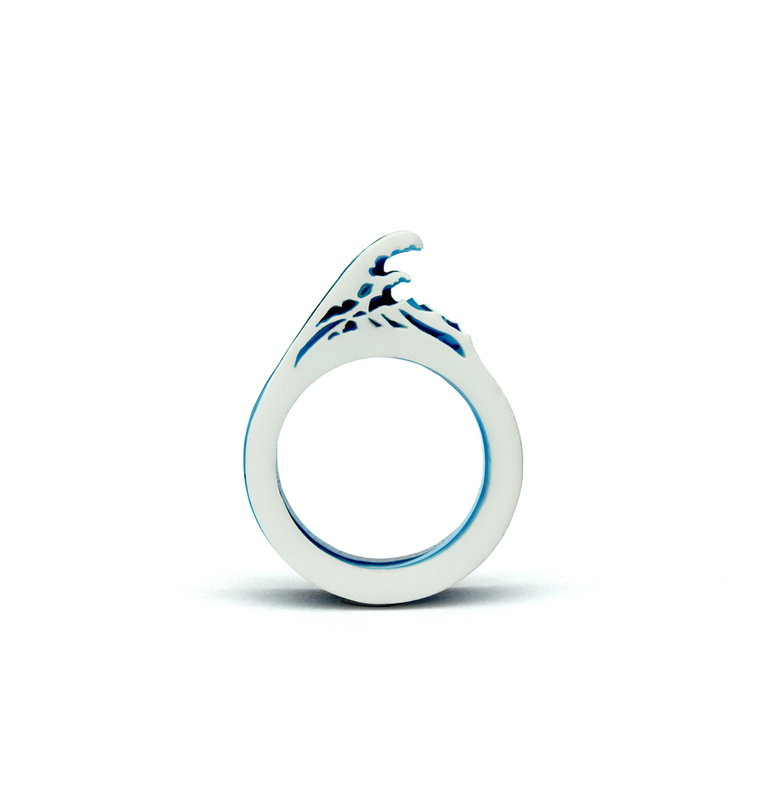 The Wave Ring is a functional piece of jewellery but also a micro diorama that pays homage to the iconic image ‘the great wave off kanagawa‘ by the japanese artist Katsushika Hokusai. The Ring is constructed from Three layers of high quality 4mm Acrylic that have been permanently bonded together using a very strong adhesive. Each layer of the wave has been accurately cut and has a smooth durable finish in three contrasting colours that emulate Hokusai’s original design. Each internal ring diameter is 18mm.